New Year! New Legislative Agenda! With the New Year comes a new legislative session! 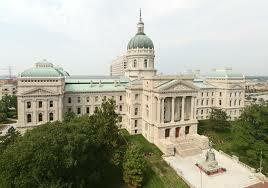 The Indiana General Assembly reconvened on Monday, January 6, 2014 and there is no doubt that many critical issues will be up for discussion and debate. 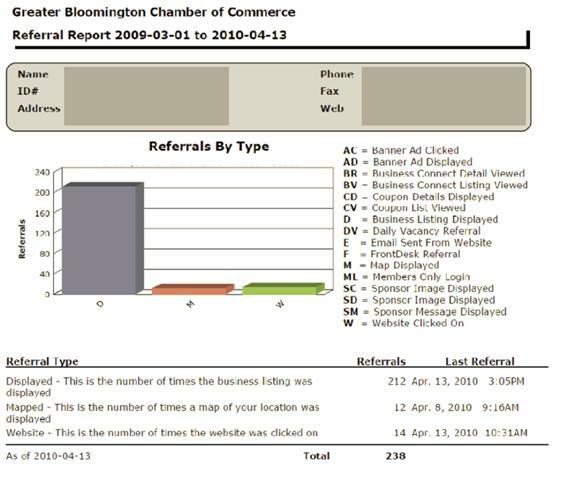 As the voice of business, The Greater Bloomington Chamber of Commerce will be monitoring and advocating for those issues that affect our member businesses. The Greater Bloomington Chamber of Commerce released its list of legislative priorities which the 1,100 member organization will monitor and advocate for during the 2014 legislative session. The five priority areas include business taxation and regulation, education, healthcare, infrastructure & job creation and local government advancement. Prepared by The Chamber’s Legislative Council and approved by the organization’s Board of Directors, the 2014 Legislative Agenda was presented at the organization’s Legislative Preview Luncheon. As an advocate for business, The Chamber selected the five priority areas based on relevance and potential to impact the local business community. Member feedback received as part of the annual Business Climate and Legislative Survey, which was sent out to The Chamber’s full membership in early fall, was also carefully considered as the agenda was being crafted. The organization also considered priorities that they could realistically advance and impact through their advocacy process. The Chamber’s Legislative Council will actively continue to update, educate and involve members in its advocacy efforts during the upcoming legislative session through electronic communications like Advocacy Matters, Legislative Updates and The Chamber’s weekly newsletter Membership Matters. A Legislative Wrap-Up event is planned for April 11 after the General Assembly’s adjournment. Formed in 2007, The Chamber’s Legislative Council was chartered by The Chamber’s Board of Directors to monitor the lawmaking process, aid Chamber staff in educating its members on legislative issues affecting business, and to help develop relationships with organizations and other chambers with shared interests. The volunteer Council, representing a diverse cross section of The Chamber’s membership, provides leadership and guidance on business issues at the State and Federal level. For more information about The Chamber’s Public Policy & Advocacy efforts, contact Liz Irwin, Director of Advocacy & Public Policy at 812.336.6381. To download a copy of this year’s agenda visit www.ChamberBloomington.org. As the voice of business, The Greater Bloomington Chamber of Commerce has identified legislative priorities that encourage economic development, innovation and strategic growth. This entry was posted in Advocacy, Uncategorized on January 10, 2014 by Kelley Brown. Do Introverts Make the Best Leaders? I have a friend that has moved quickly up the ranks of a major corporation. Despite his somewhat speedy transition to jobs with increasing responsibility, back-to-back performance reviews that hit the far exceed mark, and stellar leadership reviews from his team and customers, some of his “mentors” continue to advise him to “speak up more”. Despite a 20-year track record of successful results, my friend continues to receive this feedback which he continues to find confusing. Okay. It’s no secret my friend is a bit of an introvert. He doesn’t feel compelled to fill silence with small talk just to hear himself speak. Nor is he a pseudo-intellectual who wants to dazzle you with his brilliance by spouting off facts and data he memorized. He’s just a very intelligent man with a wealth of knowledge and experience that is cushioned by a strong work ethic and a warm personality. He treats people the way he wants to be treated, and understands the importance of feedback…whether it’s positive or about an area that can be improved upon. So does this make him less than a leader? Having been a product of the corporate world for more than 24 years, I remember all too well the colleagues with the big titles who sat at the executive table and raised their voices (loudly) to make a point. Sometimes a fist would bang or a door would be slammed as they stormed out of meetings. Often a caustic remark was interjected as the decibels increased. 1. They think first. Even in casual conversation, leaders learn by listening. They realize that their authority alone makes them visible, so they use their calm demeanors to make a statement. Just one thoughtful comment in a meeting can move a group forward. 4. They write it down. Comfort with the written word helps leaders explain the reasons for their actions and also documents those actions. 5. They enjoy solitude. Introverts recharge by spending time alone. Regular time-outs fuel their creativity and decision-making. During high=pressure periods, this helps them stay reflective, not reactive. Martin Schmidler, VP at a food service company, tells his people he needs time to absorb what he learns, and he is clear on how and when he’ll get back to them. He consistently follows through. - Adapted from “Why Introverts Can Make the Best Leaders,” Jennifer Kahnweiler, Forbes.com. This entry was posted in Management, Tips & Tricks, Uncategorized and tagged corporate, corporate culture, executives, Leadership, management on October 4, 2011 by Kelley Brown. 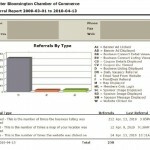 The first two quarters of 2010 were busy months for The Chamber. Several important issues and events demanded the attention and energy of The Chamber staff, its Board of Directors and Chamber volunteers. Now, as we slide into the early days of summer, the hectic pace has slowed (just a bit) and allows time to reflect on what’s ahead. One event we look forward to each year is The Chamber’s Annual Meeting. In addition to commemorating The Chamber’s 95th Anniversary at the Annual Meeting in September, we will celebrate better business and better community through the 13 various awards honoring businesses, organizations and individuals who have demonstrated high levels of involvement, business, and community leadership. This entry was posted in Events and tagged 95th Anniversary, Annual Meeting, Awards on July 7, 2010 by Kelley Brown.